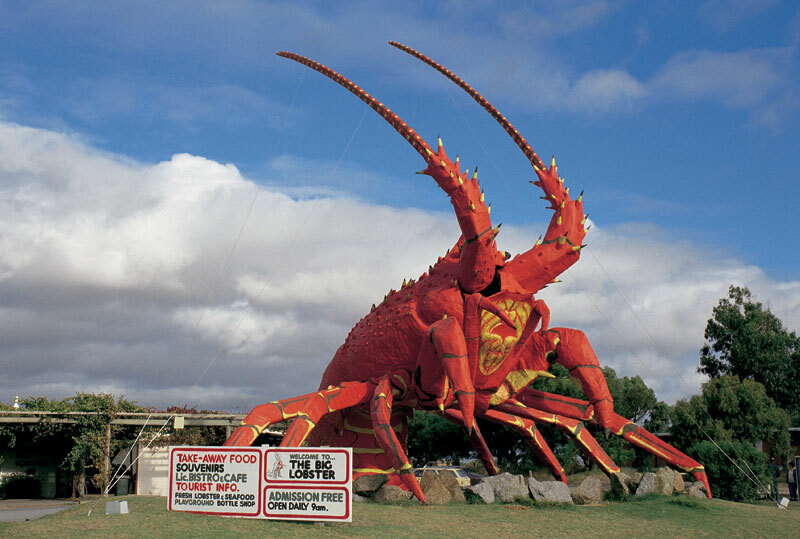 Australia’s love affair with big things, ranging from the splendid to the . . . not so splendid, is far from over. Australia’s love affair with Big Things is far from over. At last count there were around 150, ranging from the splendid to the . . . not so splendid (yes, we’re looking at you, Big Potato). While most people think Queensland rules in the land of roadside attractions, NSW actually beats the sunshine state for sheer numbers. 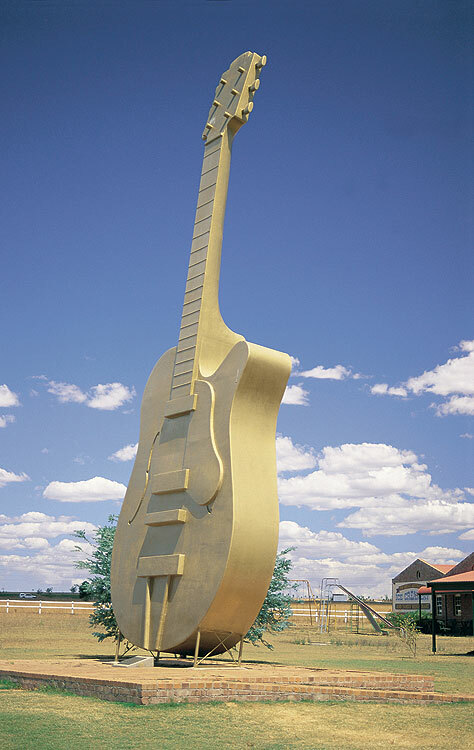 It all started with that big bendy yellow thing in Coffs Harbour (although some claim the Big Murray Cod in Tocumwal NSW was built first) and went totally bananas from there. Australia’s collection now ranges from giant ants, to clocks that tell time – nothing unusual so far, but wait for it – using basketballs, to wine casks that could kill a giant’s thirst. The trend’s also big (ha!) in the US, where they have such exciting attractions as the world’s largest office chair and a chocolate waterfall, but for ratio of Big Things per head of population, we’ve got the rest of the world beat. 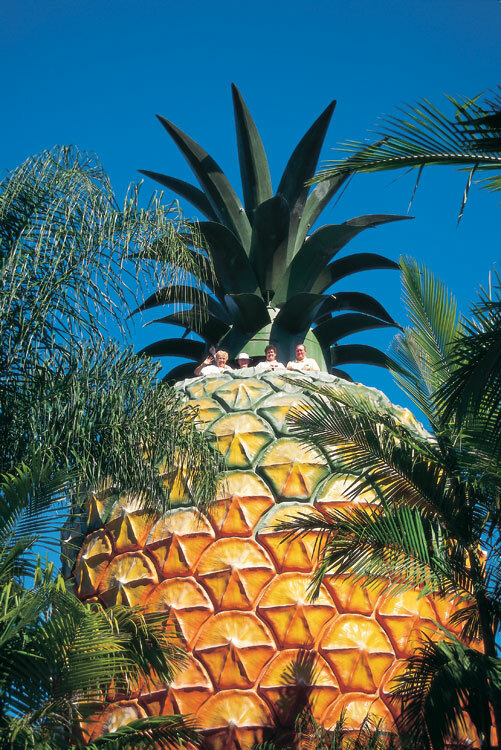 Australia also outstrips other largesse-obsessed countries by a nose in the following categories, based purely on size: pineapple, trout, prawn, banana, fruit bowl, eagle, sheep, barrel, boomerang, chook, bowl, guitar, oyster and sundial. Some things we just do bigger, if not better. 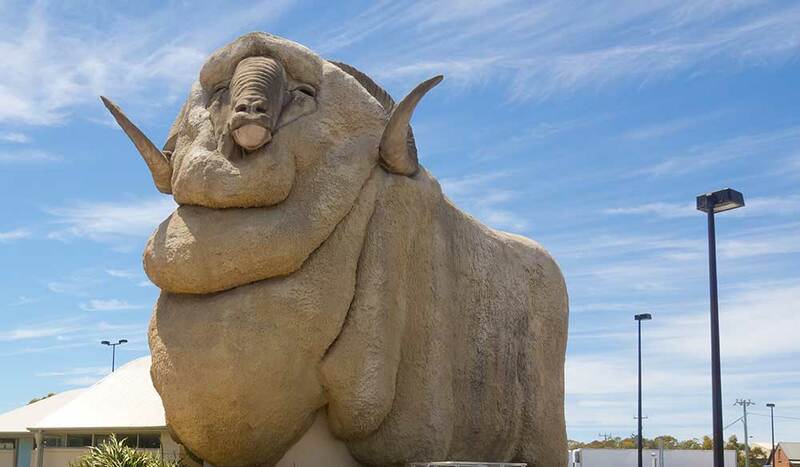 Then again, some things we don’t – a point well illustrated by the roadside Ayer’s Rock near Karuah in NSW, the only Big Thing smaller than the thing it’s supposed to represent. Lending it the semantically awkward title of one of the world’s largest smallest replicas. Did you know? // The central west NSW town of Dunedoo once considered building a Big Dunny to increase visitors, but the plan was abandoned. The process was immortalised superbly in the 2002 ABC documentary A Loo With A View: The Battle to Build the Big Dunny.